There were plenty of winners and losers this week, with the world's largest software company making a major gaming acquisition and one mall retailer once again turning to notoriety to draw attention. Here's a rundown of the week's smartest moves and biggest blunders. Netflix took the next step in its global invasion by launching its service in France, Germany, Austria, Switzerland, Belgium and Luxembourg this week. These will be competitive markets in Old World territories that are protective of their homegrown talent, but it's important for Netflix to keep stamping its passport by pushing into new countries. Netflix is also beefing up its catalog of original content. This week it struck a deal to carry two seasons of a new show that Judd Apatow co-created and wrote. The initial 10-episode season of "Love" won't be made available until 2016. The 12-episode second season will follow in 2017. However, it's one more reason that Netflix should be able to retain its growing subscriber base. The edgy mall retailer has gone too far again. Urban Outfitters took down the product page for a vintage Kent State University sweatshirt that it was selling online on Monday. It featured splattered red splotches that make it seem as if they are blood stains. Obviously this will hit too close to home to anyone who remembers the tragic 1970 massacre at Kent State. Urban Outfitters knew what it was doing. It had priced the sweatshirt at $129, claiming that only one was available. Urban Outfitters has left the public shaking its head at some of its edgier decisions, which have included an outfit that mocks depression and shirts that read "Eat less" and "Jesus, I'm drunk." This one seems to have outdone those earlier stunts in its pursuit for negative publicity. Microsoft is a company that has never shied away from 10-figure acquisitions, and it's at it again with the $2.5 billion purchase of Sweden's Mojang. 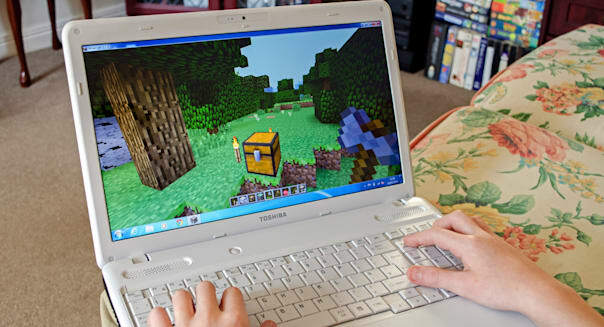 This is the company behind the popular "Minecraft" gaming franchise that's been downloaded 100 million times on PC alone since launching in 2009. Microsoft knows all about Minecraft's success. More than 2 billion hours have been spent playing the game on Xbox alone. It's also a smart move because Microsoft has nearly $93 billion in cash parked overseas, and snapping up an international company puts some of that money to work. The Japanese consumer electronics giant continues to struggle. Sony announced this week that it's now targeting a $2 billion loss for the year. It also announced that it will be suspending its dividend. This will be the first time that Sony doesn't pay out a dividend since 1958. Sony can't seem to get it right these days. A couple of years ago it was its TV business stringing together several years of losses, and now it's taking a big write-off in its smartphone business. Yes, the Sony PS4 is doing well in taking the lead in the latest generation of gaming consoles, but there seems to be far more going wrong than right at the once iconic bellwether. Millennials have spoken, and they miss Coca-Cola's Surge soda. The world's largest soft drink company put out the highly caffeinated citrus-flavored Surge in 1996 to take on the success of rival Mountain Dew. It didn't work. Surge was off the market by 2002. On Monday Surge came back through a special partnership between Coca-Cola and Amazon.com (AMZN). The 12-packs available exclusively through Amazon sold out quickly. More are on the way. With more than 140,000 followers cheering the move on Facebook's Surge Movement fan page, it was easy to see why this was a no-brainer move by Coca-Cola. What remains to be seen is if Surge will continue to be made available after this stunt, and if it will achieve broader distribution. Motley Fool contributor Rick Munarriz owns shares of Netflix. The Motley Fool recommends Amazon.com, Coca-Cola, Netflix, and Urban Outfitters. The Motley Fool owns shares of Amazon.com, Microsoft and Netflix and has the following options: long January 2016 $37 calls on Coca-Cola and short January 2016 $37 puts on Coca-Cola. Try any of our Foolish newsletter services free for 30 days.For some winning dividend stock ideas, check out our free report.